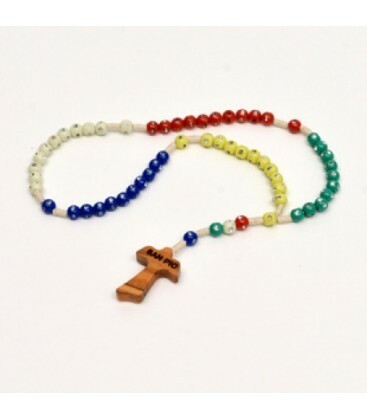 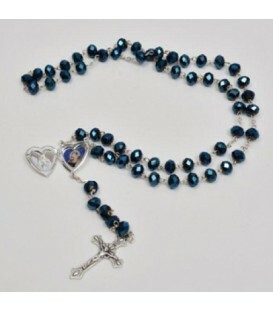 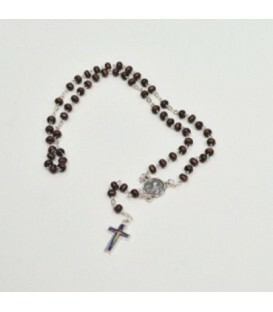 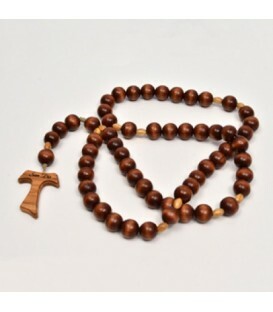 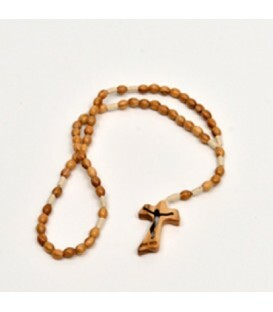 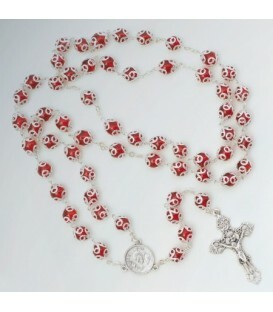 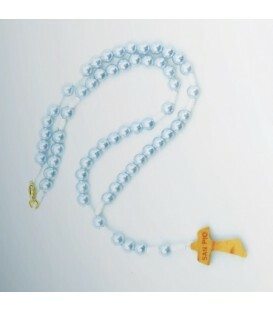 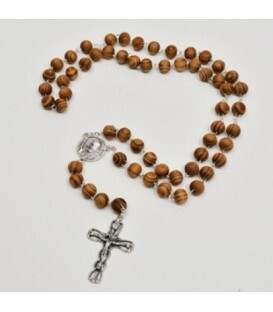 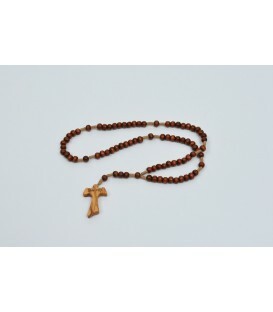 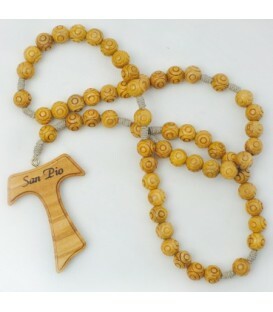 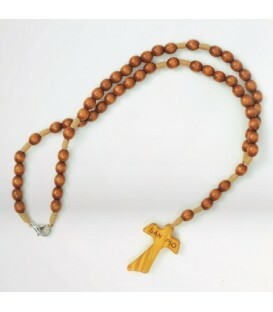 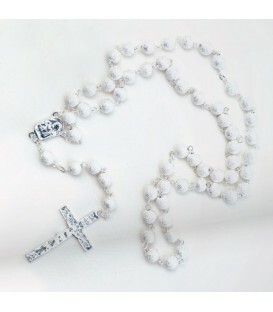 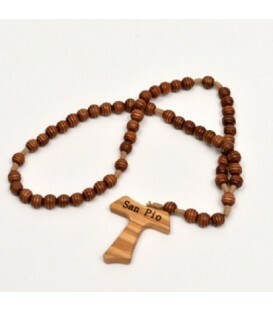 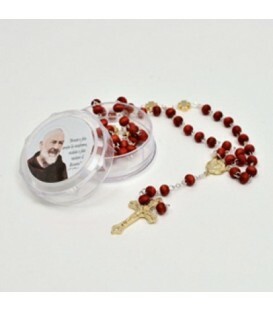 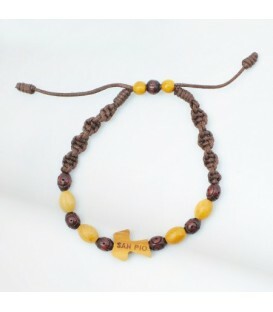 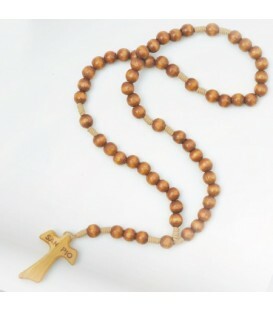 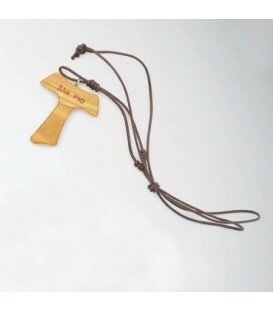 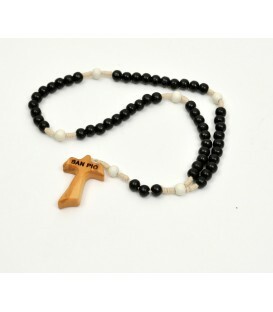 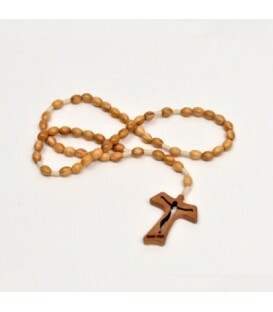 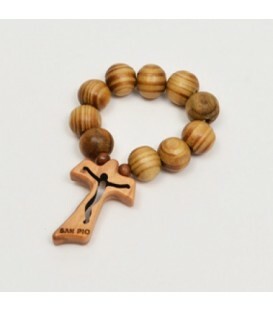 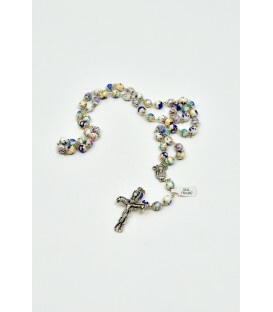 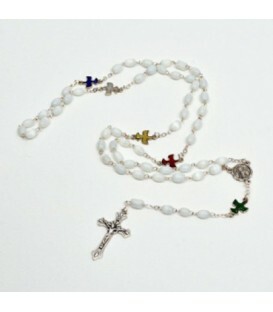 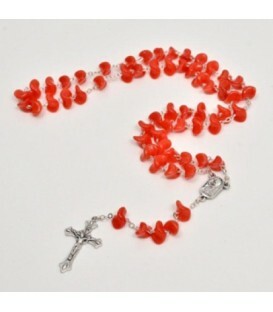 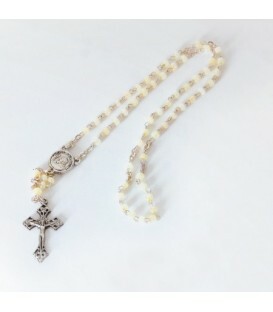 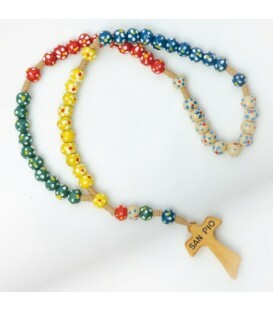 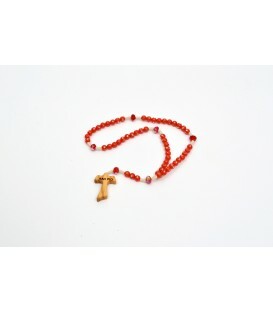 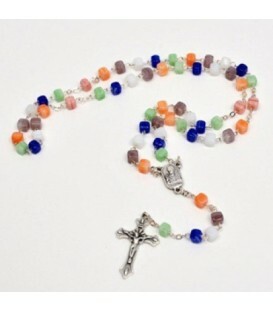 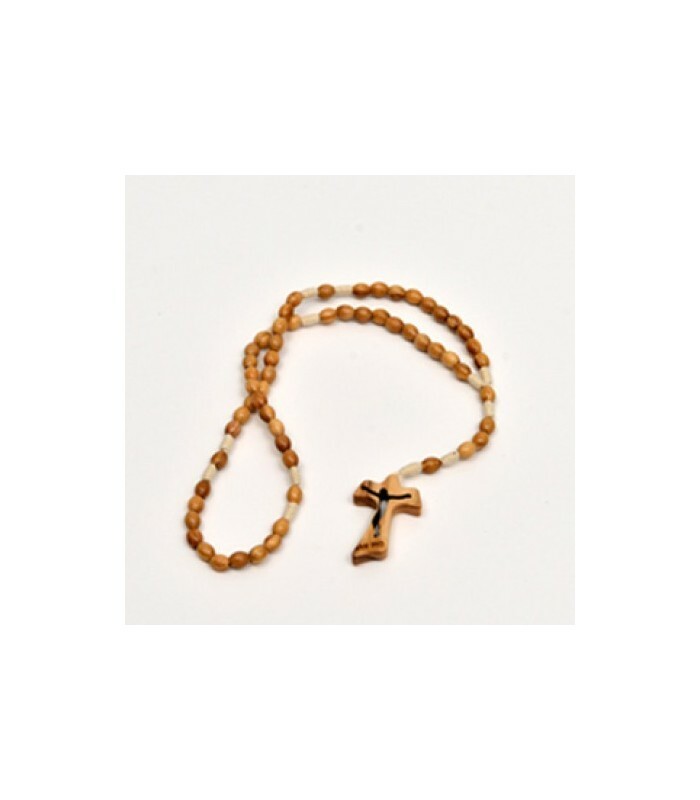 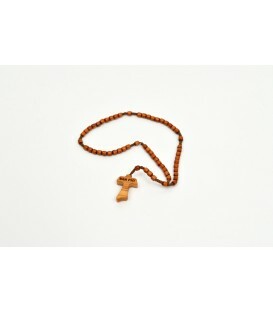 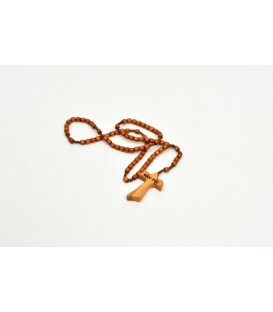 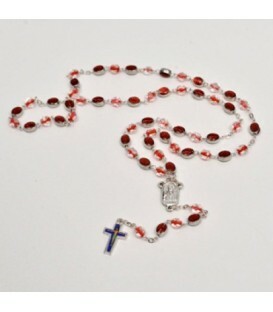 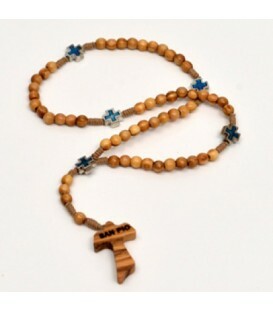 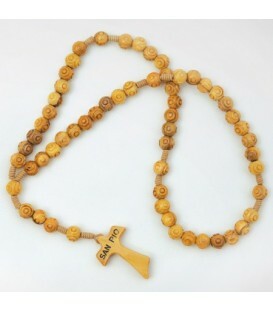 Rosary in olive wood with smooth oval beads. 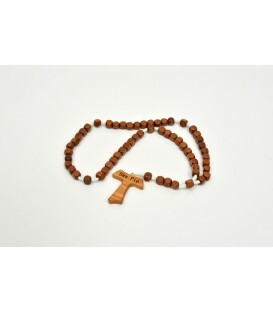 Tau cross with Christ pierced. 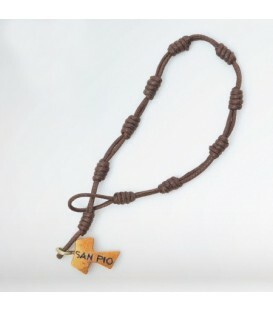 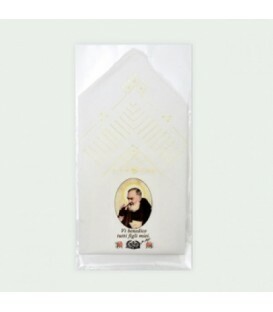 Waxed cotton cord white.